BECOME YOUR OWN PUTTING MACHINE ! "The memory of space in fact calls on a memory of movement, this being based on body movements associated with visual points of reference”. 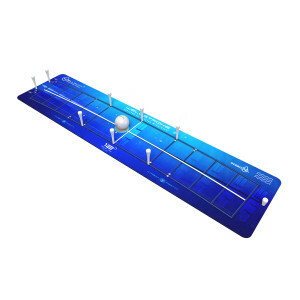 I recently purchased the Wellputt Mat 10ft and within minutes i see instant feedback. The putting mat will propel me into the category i work so hard on and its so easy to practice in the house which i love. "Practice doesn't feel like practice" and this is what i enjoy about this product..